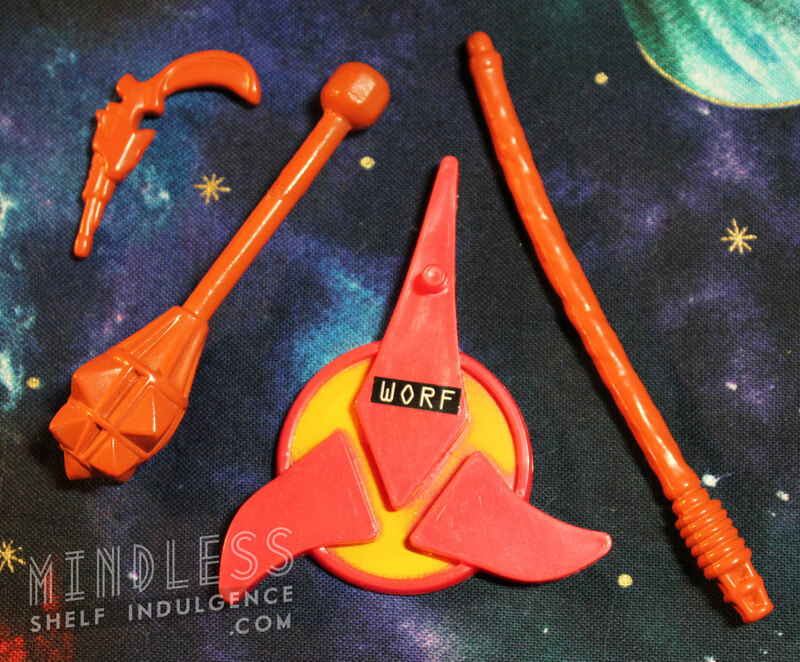 Includes dark orange accessories: a pain stick, a spiked club, and a disruptor. 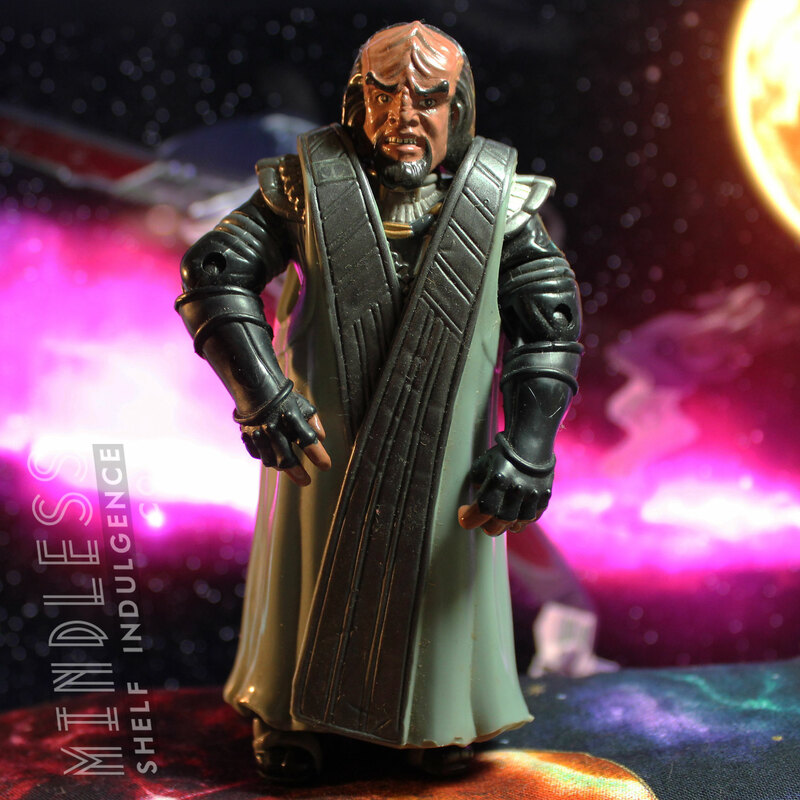 He also wears a removable robe, identical in sculpt to the one worn by Series 3 Gowron in Ritual Klingon Attire. 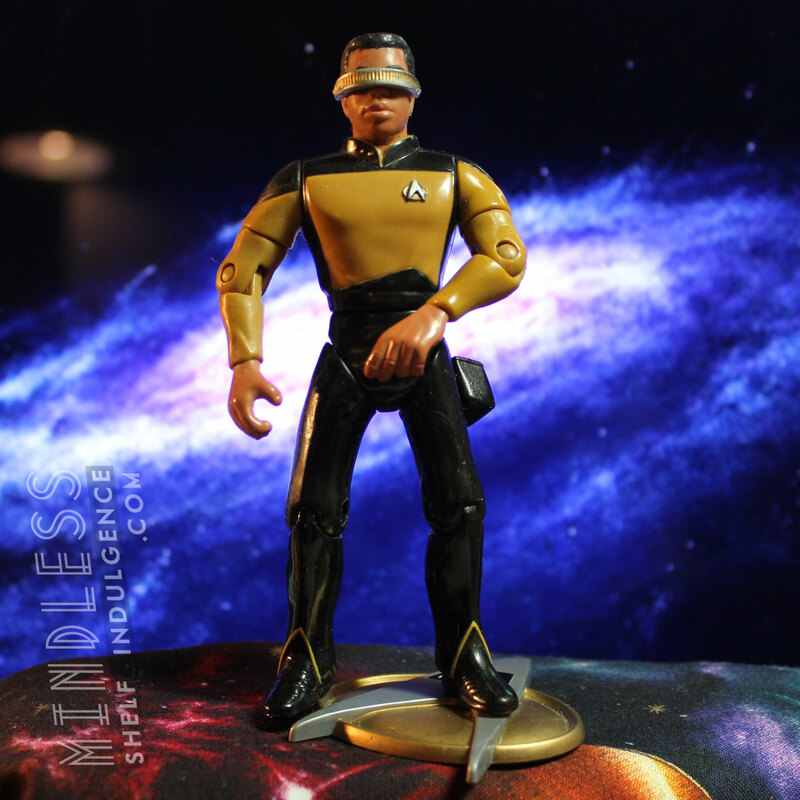 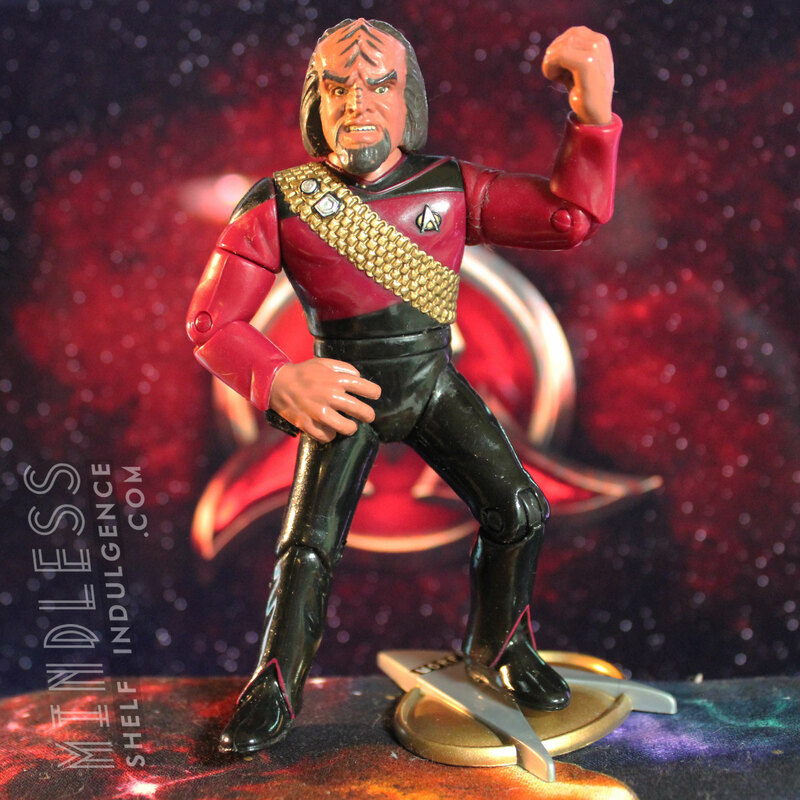 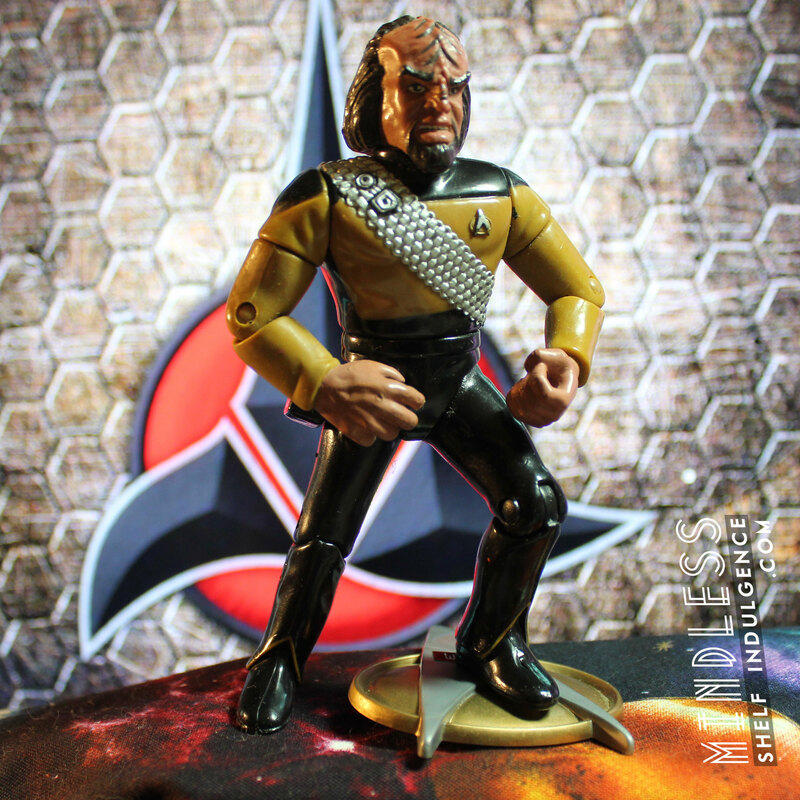 Though there are many similar Worf figures, this one is pretty easy to tell apart, except for maybe from Governor Worf.